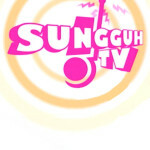 Sungguh TV! gets close to the latest buzz in the entertainment scene in Singapore. Fronted by our own two equally outrageous VJs, this programme will bring you sensational gossips and exclusive interviews from the players of this region’s entertainment industry.